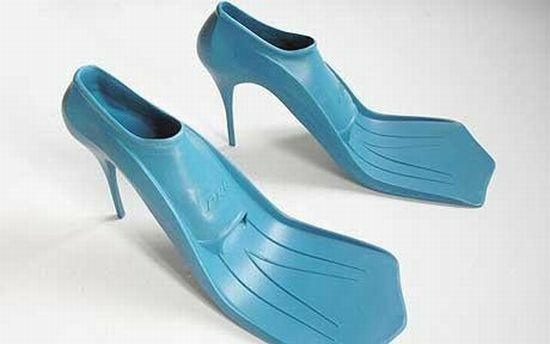 Paul Schietekat, an artist from Belgium, combined the elegance of stiletto heels with flippers to come out with a shoe innovation known as âHigh Tide Heelsâ for sun-seekers who don’t want the hassle of changing footwear every time they cool off with dip in the sea. Sadly, they were only created for an exhibition with no plans of releasing them commercially. Ohâ¦anyway, I wonât leave you depressed â go check out some shoe innovation we wish we had never seen!